It’s important to keep your prospects and customers in the know about all things happening with your business. 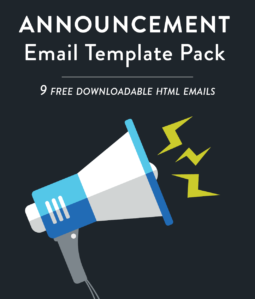 Fill out the form to get 9 free templates immediately. We’ll also send you the link via email. Fill out the form, choose your template, then copy and paste the HTML code into your favorite email editor to edit and send.